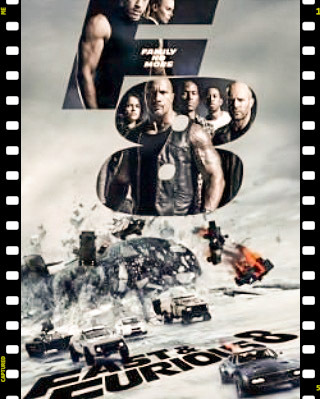 Third stright weekend row Fate of furious make number 1 box office make over 19 million past weekend since been released three weekends ago the make over billon is one high gross fast of furious movie franshine. Thie movie close two billions dollars since been released in movie theater three weekends ago like or not keep do sequel this movie franshines . Today paramount pictures release Bayside movie poster of characters with Dwayne the rock Johnson playing character Mitch who Dave Hassoff in 90’s drama television series . Also Zac Efon in movie who playing Matt Brody who Mitch best friend co-workers lifeguard on beach . Only not like 90’s drama television series this live action comedy film I looking forward Lifeguard Mitch Buchannon (Dwayne Johnson) and a brash new recruit (Zac Efron) uncover a criminal plot that threatens the future of the bawatch well be Release date: May 26, 2017 be theater . Yesterday Dwayne the Rock Johnson tweet out a picture with him with baywatch team run in beach similar version like the baywatch television Show in 1990 Baywatch team includes Kelly Rohrbach, Alexandra Daddario, Ilfenesh Hadera, Johnson himself, Zac Efron and Jon Bass. When i was on set last month see production filming the baywatch movie this very awesome comedy action movie i see this next year in theater. The Baywatch movie be well in theaters may 19 2017 . 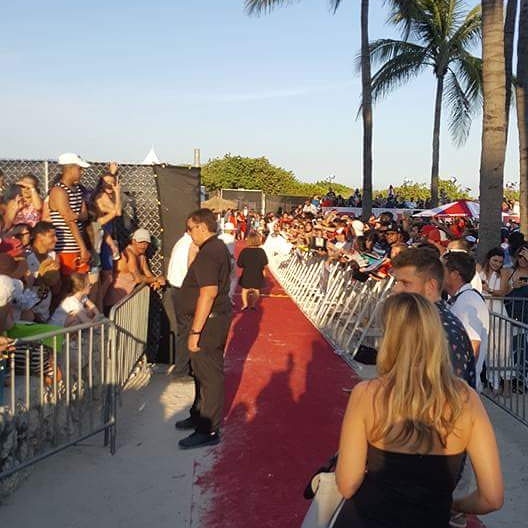 Here at North Beach in Miami Beach Florida i been on set bay watch movie hang out with Dwayne The Rock Johnson Zac Efron last few days . Dwayne The Rock Johnson tweet out and picture on twitter page .